The Liverpool Cowkeepers had the opportunity to participate when either the national show or the county show came to the city. The county show in Lancashire has an interesting pedigree. The Manchester Agricultural Society (instituted 1767) and the Liverpool Agricultural Society (instituted 1830) merged to form the Manchester and Liverpool Agricultural Society – instituted November 1847. This then merged with the North Lancashire Agricultural Society (instituted 1847) to form the Royal Manchester, Liverpool and North Lancashire Agricultural Society – instituted in 1874. Finally, this became the Royal Lancashire Agricultural Society in 1893. ​So far back as the year 1767, upwards of a century ago, when agriculture was surrounded by the protection of a restrictive policy and many of the leaders of the Manchester Anti-Corn Law League were unborn, Cottonopolis had its agricultural society; but, compared with the operations of kindred institutions in these latter days, its sphere of influence was comparatively a limited one. It was not until the year 1830 that Liverpool could boast of an independent society; and though these two organisations continued for several subsequent years to keep alive the spirit of emulation and competition which formed so essential a part of their constitution, their operations were crippled and their position was anything but satisfactory. In this state they continued till the year 1847, when, in consequence of their depressed condition, and their operations extending over much of the same country, it was resolved to effect an amalgamation between the Manchester and Liverpool Societies, which have since been identified as one. An appeal was made to resident landowners and others, which, though handsomely responded to by some, did not meet with the general success that had been expected. On the 19th of September 1848, the first annual show of livestock and implements took place at Manchester, under the presidency of the late Earl of Derby, then Lord Stanley, when £513 was received in subscriptions, of which £400 was offered for competition in 112 prizes, and about £303 was actually paid. Limited, as were the operations of the society at the commencement of its career, its first year’s proceedings were considered satisfactory, the balance sheet showing the sum of £22 in favour of the Society. The Show in 1849 was held in the Old Haymarket, Liverpool under the presidency of Lord de Tabley, and, both financially and as regards the attendance, was little better than a failure. At that time, great depression prevailed throughout all interests of British agriculture in consequence of the abolition of the Corn Laws, which many landlords and tenant farmers considered indispensable to the maintenance of British agriculture. It was fearlessly asserted by some that, with the heavy charges upon land, it would be impossible for practical farmers to contend with the foreign producer, even if landlords were to allow them to cultivate land rent-free. The folly and groundlessness of these apprehensions were then clearly seen by the anti-corn law school and have since been abundantly demonstrated. The first immediate effects of the legislative changes having passed away, a reaction commenced, and the show in the following September, held for the first time in Warrington, exhibited signs of a marked improvement in the description of the stock shown, the attendance of visitors, and the financial results. The hopes excited of continued success were, however, doomed to disappointment, for, in the following year, when the society again held its meeting at Manchester, the receipts fell to the lowest sum ever realised by the society, proving that the success of agricultural gatherings is not necessarily identified with the crowded population of the neighbourhoods which they are held. It is but fair, however, to state that this marked falling off in attendance, and consequently in receipts, arrived not so much from an indisposition to the claims of agriculture, as from the preoccupation of the minds of the people of Manchester with the visit of the Queen to that town about that time. In 1852, the fifth year of the society's existence, the meeting was again held in Liverpool, under the presidency of the Earl of Sefton, but, in consequence of the prevalence of a grievous disease amongst cattle, which carried off several valuable herds, the competition for that class of prizes was less than usual. For the first time, an exhibition of poultry was in 1852 added to the society's show, and in each succeeding year it has proved a very attractive item in the general proceedings. In the subsequent four years, Altrincham, St. Helen's, Wigan, and Warrington were respectively the scenes of the show, which was marked by varied degrees of success. In the ten years alluded to, the total amount received in subscriptions and donations amounted to £5413 1s. 6d., averaging £541 6s. per year; prizes offered, £4542 18s., exclusive of £467 11s. special prizes; amount actually paid, £3553 7s. 3d. From this time the society appears to have entered upon a successful career, which has followed it to a greater or less degree up to the present time. In 1858 Manchester was once more visited by the society, and on that occasion the meeting was a most successful one, exceeding both in attendance and receipts those of Liverpool in the following year. The annual exhibitions have been held in the following towns in addition to those already enumerated: Bolton, Ashton- under-Lyne, Birkenhead, Knutsford, Oldham, Southport, and Wigan. In consequence of the prevalence of the cattle plague in 1866 the show was that year abandoned, and when, in 1869, the show of the Royal Agricultural Society took place in Manchester, the annual exhibition of cattle and implements by this society was suspended. In every town the general committee have been assisted by local gentlemen well acquainted with each district, who have rendered essential service not only in the arrangements of the show, but in the collection of local contributions, which have materially assisted the promoters of the show, by enabling them greatly to augment the list of general and special prizes. Whenever change has been necessary to enlarge the operations of the society, or to adapt it to any special circumstances that may have arisen, the committee have cordially concurred in necessary alterations without in any way affecting the constitution of the society, and to the proper exercise of this spirit much of the success of the institution may be traced. As we have already stated, there was no independent exhibition by this society in 1869, and we are not in possession of the necessary statistics to enable us to include in the above table the returns for last year, when the show was held at Wigan. But, upon reference to a record made at the time, we find that about £2000 was then given in prizes, including £300 offered by the local committee; but the amount locally subscribed, including expenses, was nearly £1000. 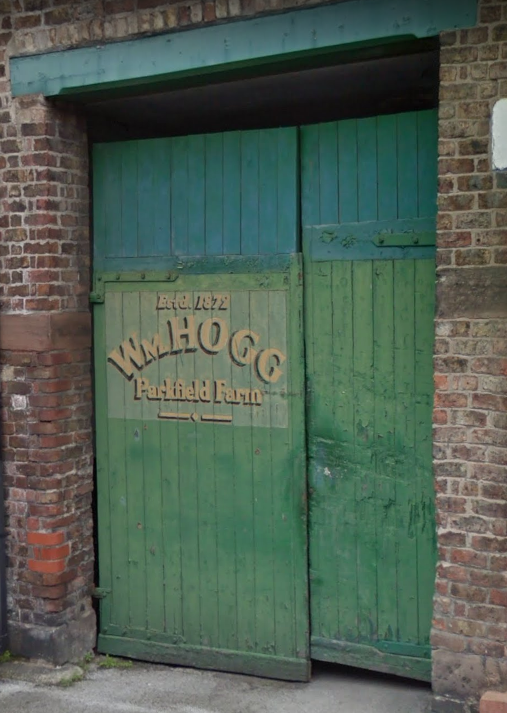 The total entries at Wigan were 2829, including implements, 1858; horned cattle, 122; horses, 174; sheep, 90; pigs, 56; poultry, 196; dogs, l08; cheese and butter, 41; grain, roots, and seeds, 85. The estimated number of visitors was 2,000, and the money taken for admission was about £1200. After the lapse of twelve years, during which the Manchester and Liverpool Agricultural Society has visited some of the principal towns in various parts of Lancashire, with greater or less success, Liverpool has been once more selected as the locality for the great exhibition of 1871, which opened yesterday with every prospect of success. Considering the magnitude of the town of Liverpool and of the city of Manchester, it may be thought by some that it would be desirable to hold the exhibitions alternately in those great centres of commerce and manufactures; but the history of the society proves that the success of its annual shows does not depend exclusively upon the teeming population of the district in which such shows are held, but rather upon the interest taken in agricultural pursuits generally; and inasmuch as the society was organised mainly for the improvement of stock, the introduction of new implements, and the encouragement of scientific farming, it would be manifestly unjust to the subscribers to confine the shows to neighbourhoods in which agriculture occupies but a comparatively inferior position. In the early part of the present year, when it became known that the committee had determined to hold the exhibition in Liverpool, his Worship the Mayor (Mr. Alderman Livingston) convened a meeting at the town-hall for the purpose of forming a local committee, whose principal duty it would be to raise the requisite funds for increasing the prize list, so as to attract to the show the best cattle, implements, and miscellaneous articles, and consequently to increase the competition. Some of the frequenters of the Exchange Flags, and a few of the most influential merchants of Liverpool, are amateur agriculturists; but the great majority understand far more about bales of cotton or ship loads of merchandise than they do of short-horned cattle or of the newest invention in agricultural implements. However, they rallied in influential numbers at the call of the chief magistrate, a powerful committee was organised, and the result of their labours has been a subscription list of upwards of £2200, the greater portion of which has been handed over to the general committee to augment the prize list. In the selection of a spot for the exhibition, two things were considered essential – namely, proximity to a railway station, so as to afford facilities for the unloading of cattle and implements, and situation near enough to the town to enable the inhabitants and visitors to reach the show yard without much difficulty or fatigue. In addition to extent and capacity, the Parliament Fields, as they are generally called, seemed to possess all the prerequisites for the site of a successful exhibition; and after a careful examination of other places, the Parliament Fields were chosen. The ground abuts on Upper Parliament Street on the north and stretches away to the south, its length being about 450 yards and its width varying, from 200 to 360 yards. Some time since this portion of ground was completely fenced in, except on the south side, so that little else was necessary to prepare it for the show than the enclosure of the south end and the erection of the necessary buildings for the protection of the animals and implements shown. Shows were held in towns all over the county including: Manchester, Oldham, Blackburn, Burnley, Bury Rochdale, Southport, Blackpool, and Lancaster. 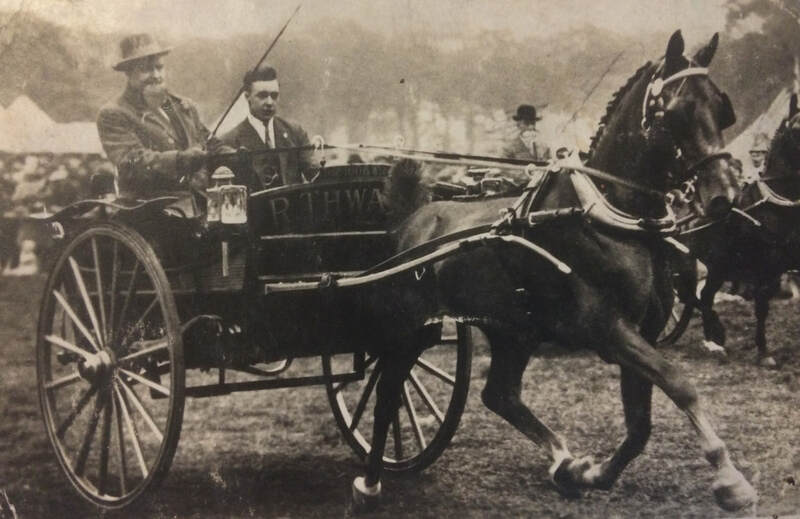 The county show came to Liverpool on a number of occasions: 1849, 1852, 1859, 1871, 1883, 1892, 1899, 1905, 1914, 1923, 1931 and 1938. The county show did not take place in those years when the national show was held in Lancashire. The national show - run by the Royal Agricultural Society of England - came to Liverpool in 1841 (Falkner’s Field – 7 acres), 1877 (Newsham Park - 75 acres) and 1910 (Wavertree Playground - 108 acres). These shows were very popular – the 1910 show experienced 138,000 attendances. 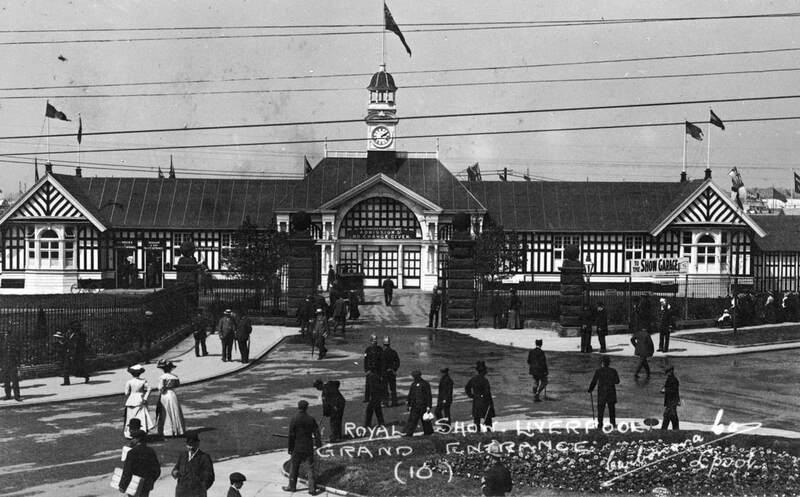 The Royal Agricultural Show, Wavertree Playground - 1910 (© Mike Chitty, The Wavertree Society). ​Success at these shows gave the prize-winners a unique window of opportunity (until the next show) to publicise the quality of their premises, practices and products. Signs and banners were erected proclaiming the title of ‘Best Kept Shippon’ or ‘Best Cow’ of whatever class. Certificates and cups were displayed in prominent places on dairy walls or in shop windows. And, prize-winning cattle were paraded around local streets wearing their rosettes. All this pageantry took place with one principle aim in mind – that of gaining a competitive advantage over other dairies, but especially over those dairies selling railway milk. • Town Dairy Cows – competition limited to Members of the Liverpool & District Cowkeepers Association (and kept on premises within the district of the Association at least three months after the Show). Various classes of weight and type. • Town Shippons and Dairies – competition open to all Cowkeepers within a radius of seven miles of the Town Hall. Prize for Best Kept Shippon, Milkhouse and Shop or Dairy. General Appearance, Arrangements for Convenience, Economy of Labour, Cleanliness, Air Space, Light and ventilation of Shippon, were taken into account in awarding the prizes. • Cowkeepers' Milk Turnout - the whole turnout (Mare or Gelding, Float, Harness, Tankard etc.) is taken into consideration when being judged, and all must have been used in the delivery of milk for one month prior to the show. Listed below are the prize-winners of some of these classes over different years. Horned Cattle: Mr. H. W. Beauford, Formby Hall, near Southport; Mr. Benjamin Baxter, Elslack Hall, Skipton; Mr. William Parker, Carleton Hill, Penrith. Cart Horses: Mr. John H. Wood, Humberstone, near Great Grimsby; Mr. John Bromley, Lancaster. Light Horses: Mr. J. M. K. Elliott. Heathencote, Towcester; Mr. George Clay, Minton House, Wem; Mr. W. S. Atkinson, Barrowley Hall, Leeds. Sheep: Mr. John Wood, 4 Harewood Hill, Darlington; Mr. Thomas Horley, The Fosse, Leamington. Pigs: Mr. C. M. Sexton, Wherstead Hall, Ipswich; Mr. R. H. Watson, Bolton Park, Wigton. Dogs: Mr. John Douglas, Clumber, Worksop; Mr. Matthew Hedley, Redhill, Surrey. Poultry: Mr. Edward Hewitt, Sparkbrook, Birmingham; Mr. Richard Teebay, Fulwood, Preston. Cheese and Butter: Mr. R. Pedley, Crew; Mr. Henry Warburton, Manchester. Grain and Roots: Mr. James Ray, Warburton Park, Lynn; Mr. John Hornby, Minshull-vernon, Middlewich. Implements: Mr. Robert Whalley, Bold, Warrington; Mr. William Scotson, Aigburth, Liverpool; Mr. Maxwell Scott, engineer, Tranmare. Horned Cattle: Mr. Joseph Cliffe, Mr. G. Henderson, and Mr. G. Halsall; Light Horses: Mr. C. Richmond, Mr. J. S. Wilson, and Mr. T. Atherton; Heavy Horses: Mr. J. Southern and Mr. J. Halsall; Sheep: Mr. James Wood. Pigs: Mr. W. Hand; Poultry: Mr. Hindson; Dogs: Mr. Henry Neild, Mr. John Statter, and Mr. C. Morris; Grain and Roots: Mr. Thomas Finchett; Cheese and Butter: Mr. James Dickenson; Implements: Mr. Edward Rothwell and Mr. R. Shuttleworth; Stewards of Finance: Mr. John White and Mr. Robert Lansdale; Showyard Committee: Mr. Henry Neild, Mr. G. Hale, Mr. Robert Whalley, and Mr. Thomas Atherton; General Director: Mr. William Owen; Secretary: Mr. Thomas Rigby. Bulls above two years old: 1. H. Thompson, Maiden Hill, Penrith, Cumberland; 2. W. Linton, Sherriff Hutton, York; 3. Marquis of Exeter, Burghley Park, Stamford, Northamptonshire. Bulls above one but under two years old: 1. Rev. W. Sneyd, Reels Hall, Newcastle, Staffordshire; 2. T. Lace, Grenaby, Isle of Man; 3. R. Parker, Fern Hill, Burnley. Bull calf above six but under twelve months old: 1. J. Knowles, Wetherby House, Wetherby; 2. P. Statter jun., Stand Hall, Whiteside, Manchester; 3. Rev. W. Sneyd. Cow above three years old, in milk or in calf: 1. J. Outhwaite, Bainesse, Catterick, Yorkshire; 2. J. Walesby, Kirkham, Cadeby Hall, Grimsby; 3. A. Dugdale, Rosehill, Burnley. Heifer above two but under three years old: 1. and 2. F. J. S. Foljambe, M.P., Osberton Hall, Worksop, Nottinghamshire; 3. The Earl of Harrington, Elvaston Castle. Heifer, above one but under two years old: 1. E. J. Smith, Islanmore, Croom, Limerick; 2. and 3. Rev. W. Sneyd. Heifer Calf, above six but under twelve months old: 1. J. Farrer, Thorneyholme, Burnley, Lancashire; 2. E. H. Cheney, Gaddesby Hall, Leicester; 3. The Earl of Harrlngton. Ayrshire Cow or Heifer, above two years old, in milk or in calf: 1. The Earl of Crawford and Belcarres, Haigh Hall, Wigan; 2. Arthur Woods, The Grange, Sefton, Liverpool; 3. T. Statter, jun. Welsh cow or Heifer, above two years old, in milk or in calf: 1. F. W. Earle, Edenhurst, Huyton; 2 and 3, T. Statter, jun. Kerry Cow or Heifer above two years old, in milk or in calf: 1. Rev. J. C. Macdons, Hilbre House; 2. J. G. Morris, The Priory, Allerton; 3. H. Inman, Rose Bank, Stretford, Manchester. French or Channel Islands Cow or Heifer above two years old, in milk or in calf: 1. G. Maples, jun., Wavertree, Liverpool; 2. and 3. J. P. Duff, Lydiate House. French or Channel Islands Bull, of any age: 1. W. Brothers, Ramsdell Hall, Lawton, Cheshire; 2. H. S. Woodcock, The Elms, Wigan. Kerry Bull, of any age: R. Gladstone, jun., Court Hey. Welsh Bull, of any age: J. Jones, Talhirion, Gaerwen, Anglesey. Ayrshire Bull, of any age: 1. J. Tweddle, Askerton Castle, Cumberland. 2. R. Kerr, Birchtree House, Fazakerley, Liverpool. Bull of any breed, belonging to a landlord resident in the district, that is allowed to serve the cows of his tenants gratis: Silver medal, the Earl of Crawford and Balcarres. Pairs of Cows for dairy purposes, in milk or in calf: 1. J. Kenwright, Tarbock, Prescot; 2. T. Statter, jun. Pairs of Heifers, above two, but under three years old: 1. J. Dickinson, Upholland, Wigan ; 2. T. Statter, jun. ; 3. C. W. Brierley, Rhodes House, Middleton. Single Heifer above two, but under three years old: 1. cup or £10. C. W. Brierley; 2. J. Dickinson; 3. W. Dale, Thornton Lodge. Pairs of Heifers, above one but under two years old: 1. C. W. Brierley; 2. T. Batter, jun. ; 3. J. Dickinson. Single Heifer, above one but under two years old: 1. and cup, W. Birch, Stand Farm, Aintree; 2. C. W. Brierley, Rhodes House, Middleton, Manchester; 3. H. Neild, The Grange, Wesley, Manchester. Pair of Heifer Calves, of exhibitor's own rearing, under twelve months old: 1. C. W. Brierley; 2 and 3. J. Gooldman, Clay House, Hale, AItrincham. There were no cattle classes due to a national outbreak of foot and mouth disease. Class 29 – for Best Kept Shippon, Milk-house, and Shop or Dairy, situated within the borough of Liverpool or Bootle. Dairy Cow, in milk, whose last caIf was born within three months of first day of show. 1. T Howard, Bretherton, Preston; 2. C Wolfenden, Bootle; 3. R Alderson, Bootle. Pair of Cows, in milk or in calf, kept within six miles of the Town Hall, Liverpool, and the property of bona-fide town cowkeepers. 1. R Alderson, Bootle; 2. C Wolfenden, Bootle; 3. J Verity, Liverpool. Cow, in milk or in calf, kept within six miles of the Town Hall, Liverpool, and the property of bona-fide town cowkeepers. 1. C Wolfenden, Bootle; 2. R Alderson, Bootle; 3. M Verity, Kirkdale, Liverpool. Competition limited to members of the Liverpool & District Cowkeepers Association and kept on premises within the district of the association for at least 3 months after the show. Class 24 – Town Dairy Cow, any breed or cross-breed, in milk or in calf, over 11 cwt. Class 25 - Town Dairy Cow, any breed or cross-breed, in milk or in calf, not exceeding 11 cwt. First Prize - £10 to R. Batty & Sons, 85 Aigburth Road, Sefton Park, Liverpool. Second Prize - £5 to W. Scarr, 6 Russian Drive, Stoneycroft, Liverpool. Reserve – John Hogg, 3 Back Parkfield Road, Sefton Park, Liverpool. Class 26 - for Best Kept Shippon, Milk-house, and Shop or Dairy, situated within the borough of Liverpool or Bootle. Class 93 – Cowkeepers’ Milk Turnout, over 14 hands to be regularly used for delivering milk for not less than 1 month after the last day of the show. First Prize - £5 to James Wolfenden, 36 Chapel Road, Waterloo, with ‘Yorkshire Canute’. Second Prize - £3 to Chas Wolfenden, 1 Beech Street, Bootle, with ‘Donald’. Class 94 - Cowkeepers’ Milk Turnout, over 14 hands to be regularly used for delivering milk for not less than 1 month after the last day of the show. Third Prize - £2 to W. W. Robinson, 92 Webster Road, Liverpool. Class 23 - Dairy Cow, any breed or cross-breed, in milk or in calf, over 11 cwt. Class 24 - Dairy Cow in milk or in calf, not exceeding 11 cwt. Class 25 – Pair of Dairy Cows, in milk or calf, any weight. Fourth Prize - J R Dinsdale, St Oswald Street, Old Swan. Competitions limited to bona fide cowkeepers within a radius of 13 miles from the town hall, on the Lancashire side of the river. Class 372 – Dairy Cow, calved, 11cwt and over. Class 373 – Dairy Cow (calved), under 11 cwt. Class 374 – Mare or Gelding 14.2 hands high and over. ​Class 375 – Mare or Gelding under 14.2 hands high. Dairy cow, most suitable for a town dairy, calved (11cwt. and over). First Prize - £5 to J. Evans, Tarbock, Prescot. Second Prize - £4 to J. H. Moor and Sons, West Derby, Liverpool. Third Prize - £2 to J. H. Moor and Sons, West Derby, Liverpool. Fourth Prize - £1 to William Herd, Dingle, Liverpool. Dairy cow, most suitable for a town dairy, calved (under 11cwt.). First Prize - £5 to William Herd, Dingle, Liverpool. Second Prize - £4 to J. Brenkley, Liverpool. Third Prize - £2 to John Herd, Aigburth, Liverpool. Fourth Prize - £1 to Robert Batty, Liverpool. Best and largest quantity of butter, made in cleanest and most approved style (open). First Prize – Miss C. M. N. Ingham, Blundellsands. Second Prize – Miss E. Birchall, L.C.C. Farm, Hutton. Third Prize – Miss C. M. Lee, Minsterley, Salop. Liverpool & District Classes – the property of members of the Liverpool & District Dairy Farmers Association. Class 419 – Mare or Gelding over 15 hands. First Prize - £5 to Christopher F. Swinbank, 1 Newcombe Street, Anfield, with ‘Melbourne Princess’. Second Prize - £4 to John Winn, 325 Smithdown Road, with ‘Flash Jim’. Class 420 – Mare or Gelding not to exceed 15 hands. First Prize - £5 to Palatine Dairies Ltd., St Clement Street, Blackburn, with ‘Studholme Forrester’. Second Prize - £4 to James H. Moor & Sons, Beech Farm, Eaton Road, West Derby. Third Prize - £2 to United Co-operative Launderettes Association Ltd., 42 Deansgate, Manchester, with ‘Squire’. Reserve – Fred Wood, with ‘Al’s Majesty’. Champion Prize for Best Turnout in Show - to Christopher F. Swinbank, 1 Newcombe Street, Anfield, with ‘Melbourne Princess’. Special Prize for Best Exhibit of Hackney type - to Christopher F. Swinbank, 1 Newcombe Street, Anfield, with ‘Melbourne Princess’. Class 422 – Dairy cow, calved, any weight. Fourth Prize - £1 to T. Coulthwaite, Gladstone Road, Seaforth. Class 423 – Dairy cow in calf, any weight, to calve within 3 months after the show. First Prize - £5 to E. Townley, 4 Whitefield Road, Everton. Second Prize - £4 to S. Thwaite, 85 Aigburth Road. Third Prize - £2 to T. H. De Ville, Moss Farm, Derby Lane. Fourth Prize - £1 Jackson Bros., 64 Cambridge Avenue, Crosby. Highly Commended – Edward Harper (roan). Class 424 – Fat cow, any weight. First Prize - £5 to George Smith, 30 Caryl Street.